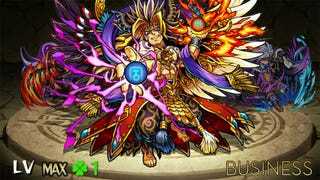 STAT | $3.7 million – Amount of revenue Mixi’s mobile game Monster Strike made per day last quarter, according to the company’s earnings report; that’s an increase of 829% in revenue over the previous year’s quarter. QUOTE | “Smartwatch is going to be a meaningful sector for games; it will create new business that reach unicorn-­like valuations.” ­ Developer Paul Virapen, talking about why he thinks the Apple Watch is going to have more units in the market than PS4 by the end of this year. QUOTE | “I felt strongly that from now on, mobile will be at the heart of game platforms, and that we need a business strategy which creates games in accordance with observations of consumer usage trends.” ­ Konami’s new leader Hideki Hayakawa, explaining why the company is moving away from selling physical retail games. QUOTE | “As we at Nintendo aim to reach all consumers around the world, we have no intention to analyze and follow successful examples in the Japanese smart device market.” ­ Nintendo CEO Satoru Iwata, talking about why Nintendo’s mobile games will be trying to get a small amount of money from a very large number of consumers. QUOTE | “As the best­-selling console in the U.S. in April, fans set record April sales and engagement for Xbox One last month.” ­ Microsoft’s VP of Xbox marketing Mike Nichols, talkingabout how Xbox One sales increased 63% this April over last year. QUOTE | “Twitch is an enormous opportunity for developers right now, especially smaller indies without a massive marketing budget.” ­ PR specialist Natalie Griffith, talking along with others about how devs can use social media effectively for promoting their games. STAT | 55% – Drop in sales of last­-gen consoles in the US for April compared to last year; new console sales were about the same as last year, while overall console software sales grew 20%. QUOTE | “It’s not just about creating deeper engagement with games though, it’s also about creating new genres of games entirely.” ­ Developer Graham McAllister, talking about what he feels is the big potential for the Apple Watch and other wearables as a gaming platform. QUOTE | “I know the CEO consistently says over and over, ‘By God, we’re going to do this right.’We live and breathe that.” ­ Atari’s Todd Shallbetter, talking about how the company wants to become important in the games business again. STAT | $1.1 billion – Amount of US digital game revenue in April, according to SuperData; that’s up 15% over last April, with the 441,000 downloads of GTA V leading the pack for PC games. STAT | 8.2 million – Number of hours watched on Twitch from the 2 million PC versions of GTA V in its launch week; this was over three times the number of hours watched for the 10 million Xbox One/PS4 versions in their launch week.